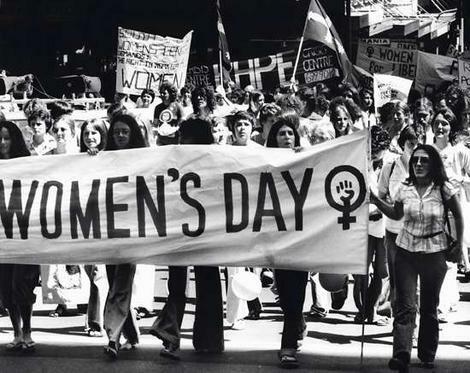 I don’t want to be the patronising malcontent that spoils the fun on a day such as International Women’s Day (IWD), in which women across the world celebrate various facets of what makes a woman just that – a woman. There is never any harm in all the pomp and glory that comes around on the 8th March every year, but it is important to note that celebrating respect, appreciation, achievements and love towards women should be exercised every single day. It’s a bit like hailing the fact that some newspapers such as the Guardian or The Daily Telegraph have a ‘Women’s Section’. And while it is important to raise these issues, it’s rather depressing that women have been casted under the ‘Life & Style’ category, as if we have chosen to be one because it is a la mode. Award-winning columnist Suzanne Moore has written a rather cynical article in the same vein marking the ‘special day’, in which she rightly asserts that “Somehow it all feels rather patronising”. The lists, the interactives, the images, tend to brush over all the hard work that women put in 364 days in the year just to walk one more step towards equality. And then in one fell swoop, the media and governmental hogs take credit for taking notice of women. IWD in some cases has been deemed as a form of ‘Mother’s Day’ or ‘Valentine’s Day for the matriarchy’ with even condescending greeting cards for the occasion; in which many take notice of the fact that woman ‘feel unappreciated’ and just ‘wants some attention.’ It has been depoliticised into a cliché, when its origins are rooted from a strike in New York by garment workers which led to the setting up of the first trade union in America. Meanwhile, the statistics that appear on the 8th March, only goes to prove that for the rest of the year, not only are women missing from the picture, they are also far from being equal – they are underpaid, underprivileged and unacknowledged. Take for example, 13,500 people – 80% of them women – reported domestic violence to charity Citizens Advice last year; 140 million girls will become child brides by 2020 at current rates; and a survey of women in work, ranks Britain 18th of 27 countries on job security and pay – far from an egalitarian utopia. These figures only seem to get front page coverage on IWD, while for the rest of the year; it is a mere footnote, hidden in the back pages. And after wading through all the flag-waving and harmonious chanting, what’s even more depressing is that women who have been campaigning tirelessly are nowhere to be seen on these high-flying power-lists, or these glorified images. And by the day after, when all the Twitter hashtags have disappeared and it is no longer news or social media-worthy, the people who only celebrate equality on IWD would have all scattered in various directions, and the movement would once again be ejected to the Lifestyle pile. So for all those wimms who have been putting women at the forefront and making a difference to all out there every single day, here is a personal thank you. Posted by suswatibasu on March 8, 2013 in Gender and tagged Equality, Gender, International Women's Day, IWD, Women.